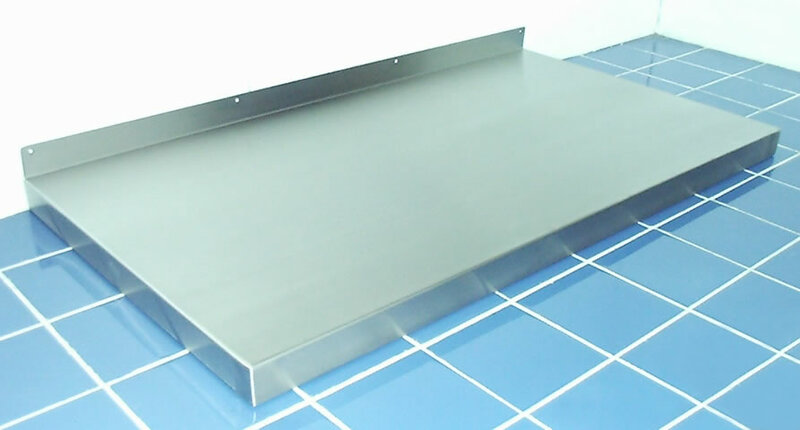 Sit on worktops are manufactured from 1.5mm 304 grade stainless steel and incorporate a 50mm upstand to rear with 50mm downturns to front and sides. A range of standard lengths are available with a width of 600mm, but almost any size and configuration can be manufactured, standard sizes are available for delivery in about 10 working days from order with free packing and carriage to the UK Mainland on orders over £250 + vat. Non standard sizes and configurations are also available, delivery time for these is about 15 working days.